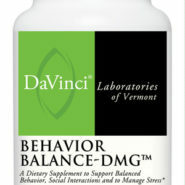 Behavior Balance-DMG™ is an advanced nutritional supplement that combines our patented N,N-Dimethylglycine (DMG) with Betaine, Folic Acid, Vitamins E, B6 and B12, L-Carnosine, Zinc, and Magnesium in an easy to swallow enteric coated capsule. Purchase this product now and earn 4,800 Reward Points! 4-6 years old: 2 capsules daily. 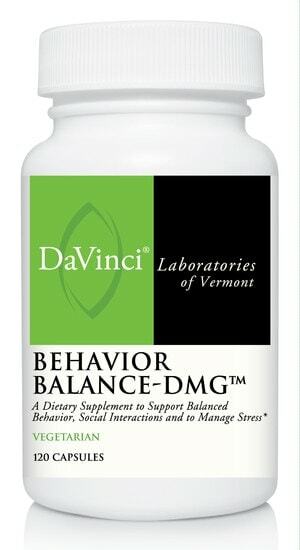 6-12 years old: 2 capsules, twice daily. Over 12 years old: 2 capsules, 3 to 4 times daily. Other ingredients: microcrystalline cellulose, vegetable cellulose, vegetarian leucine. Quatrefolic® is a registered trademark of Gnosis S.p.A. U.S. Patent No. 7,947,662TRAACS® is a registered trademark of Albion Laboratories, Inc. U.S. Patent 6,706,904.